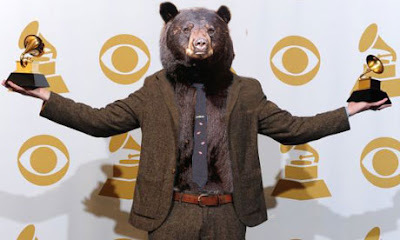 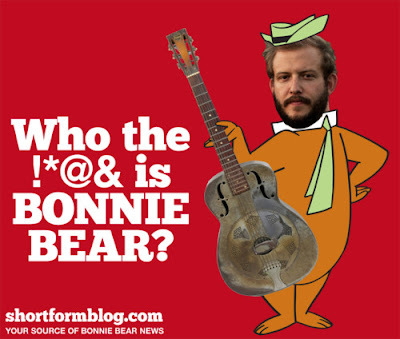 We're admittedly a little late to the game here, but we figured we aught to do a Bon Iver post-Grammys meme roundup in case you have some catching up to do. 2. 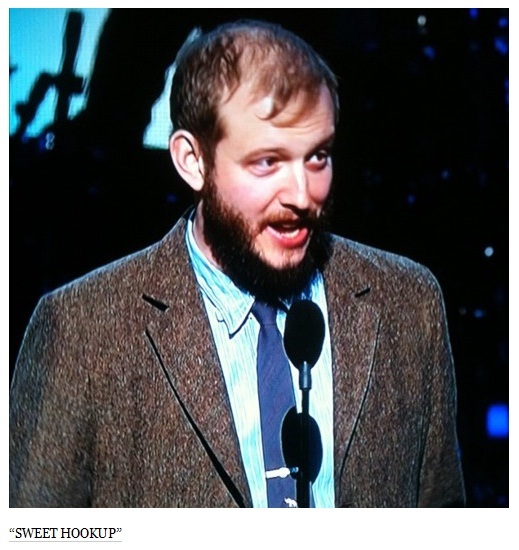 The "Sweet Hookup" meme, so-named for Justin Vernon's charmingly goofy reaction to winning a Grammy in his acceptance speech, is another Bon Iver Grammy meme. 3. 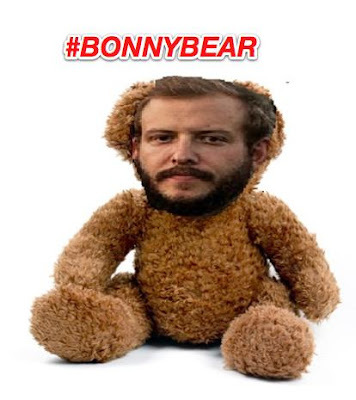 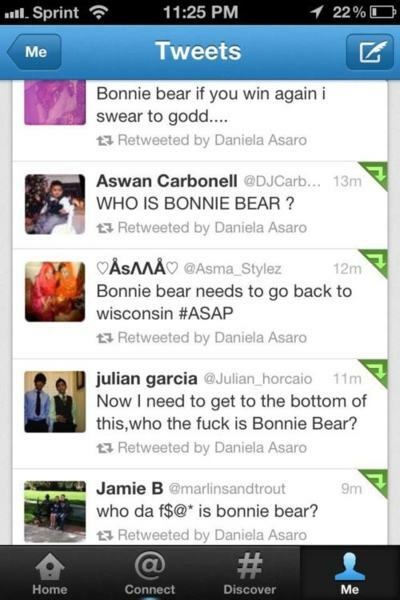 The Chicago improv troupe Funemployed - who infamously brought us the "Arcade Fire Hipster Attack" video - is back with "Bon Iver Is Not Bonny Bear," a fairly gory but funny take on the meme.